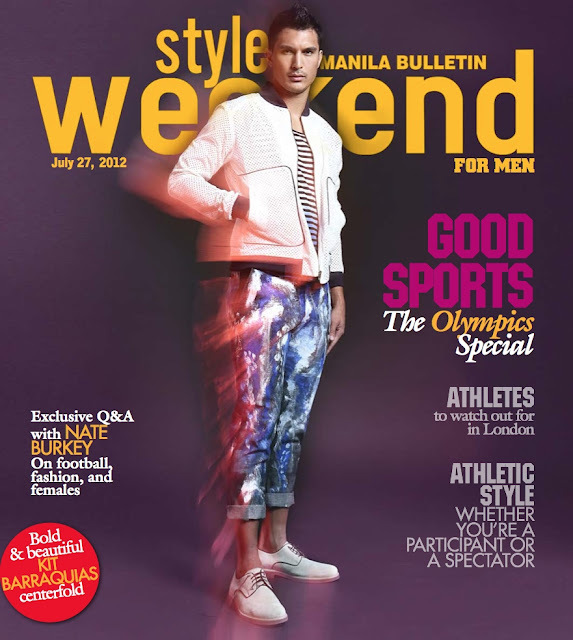 pls buy manila bulletin today (jul 27) for your free copy of style weekend for men (available every last friday of the month)! it's our olympics special! on the cover: footballer nate burkey dressed in rhett eala's first eponymous men's collection. also in this issue: which athletes to watch out for in the london games, what's up with lebron james, all about skateboarding and longboarding, why the audi A1 is the next small thing, active and spectator sportswear, kit barraquias centerfold, and more!